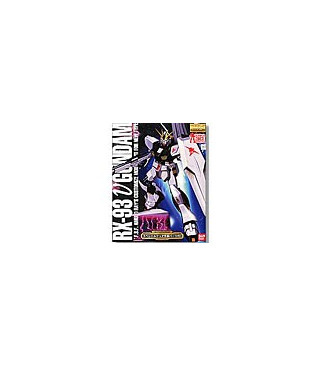 Part of Bandai's MG Clear Parts Campaign in celebration of the 30th anniversary of Gunpla, this reissue of MG Nu Gundam comes with optional clear armor parts for the sections shown in the photos below. The clear armor parts come molded on one plastic runner. Everything else remains the same as its initial release. 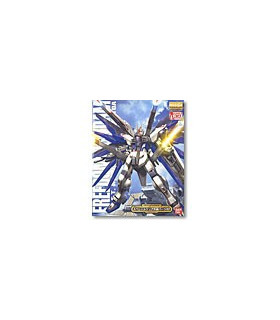 Just when we think Bandai has reached a height with their MG kits, they turn around and exceed it again. 325 parts! Full skeleton detail under snap-off armor. Metal leg and groin joints. The fin funnel system is posable. Weapons include Beam Rifle, Shield, New Hyper Bazooka, Fin Funnel, Custom Beam Saber and Beam Saber. Instruction book is 23 pages long with details of prototype (in Japanese) and full painting guide. Stickers and dry transfers for markings. This is one big, bad-looking Gundam! 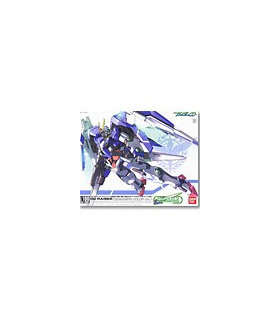 Gundam 00 1/100 Model Kit 00 Raiser Designers Color Ver.